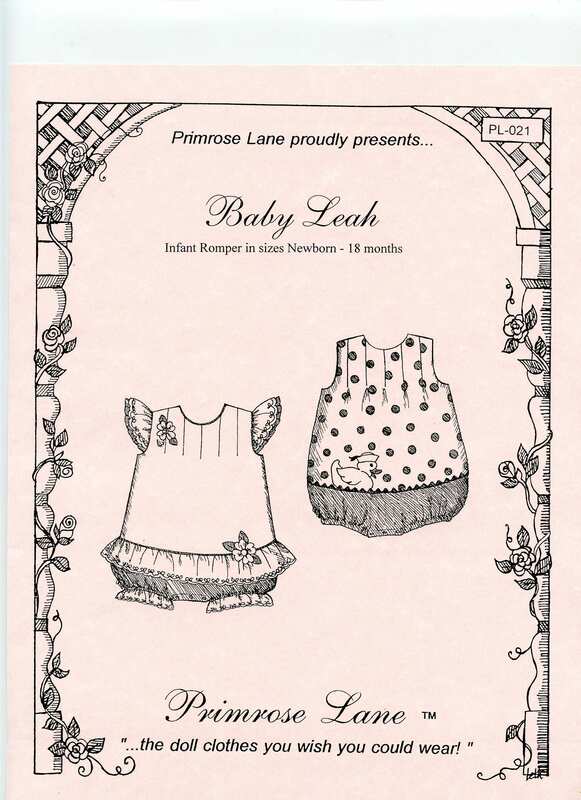 Baby Leah by Primrose Lane. This precious romper will look darling on your favorite baby girl! Easy to sew detqails make it extra special! It features a pleated yoke, round neckline and back button opening. Elastic at the legs and a snap crotch make it comfortable and practical. The contrasting upper and lower portions make this a versatile design. Rick rack, ruffles, eyelet, piping appliques may be used for embellishment. A duck applique and dimensional flower applique are included. With this many options, you will want to make several! 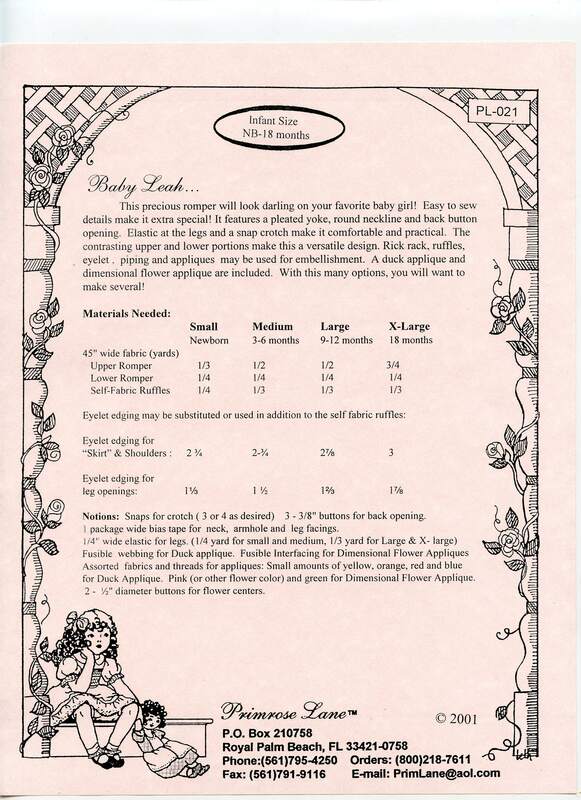 This pattern comes in sizes Newborn to 18mo. Really like this pattern I have plans for a couple different fabrics for this pattern. Cannot wait to sew this wonderful pattern.